Are you feeling unwell or suffering from pain? Why not try an alternative to NHS treatment? Acupuncture treatment is now often offered by doctors as a solution for patients whose conditions respond poorly to drugs. 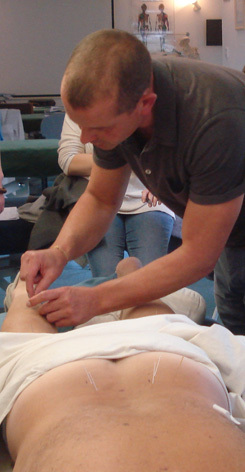 Acupuncture involves the insertion of disposable needles along the energy pathways of the body. this removes blockages to the flow of energy thus restoring balance. Maria Mercati of the BODYHARMONICS Clinic has travelled extensively throughout China and Asia and is held in the highest esteem by the Oriental experts who taught her acupuncture and massage directly. She has trained members of her own family in authentic techniques and together they can offer you the very best available in the Western world today. Experience is the root of all learning. It hones skills both technical and diagnostic. Maria has 25 years of acupuncture experience with thousands of patients and achieving a very high success rate of pain relief and well- being. Experience the difference with quality acupuncture treatment. 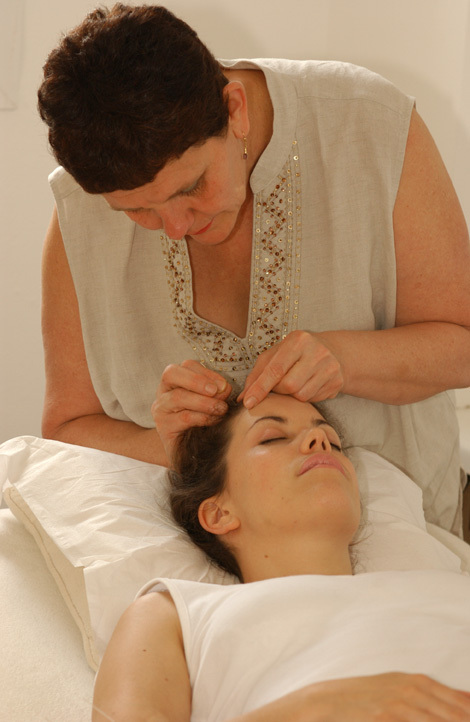 Maria believes acupuncture is one of life’s absolute essentials for maintaining body and mind. The BODYHARMONICS Clinic can offer Tui Na Chinese or Indonesian massage treatments either as a complementary therapy to acupuncture or as an alternative for patients wanting to benefit without needles from “Traditional Chinese Medicine” (TCM). Traditional Chinese Medicine works by addressing the problems caused by deficient vital energy or blockages in the flow of this energy which the Chinese call Qi. Both acupuncture and Tui Na Chinese massage techniques use acupuncture/acupressure points to strengthen weak energy and resolve blockages. Graham Mercati-doing acupuncture for back pain. Find out which combination of acupuncture and/or massage techniques would benefit you most? Book an appointment today with one of the expert BODYHARMONICS staff. They will listen to you with a view to treating your whole person, not just the symptom most obviously bothering you. Maria or Graham Mercati will be at 54 Flecker’s Drive, Hatherley, Cheltenham, Gl51 3BD. or send us a communication via our contact form. You’ll soon be feeling healthier!